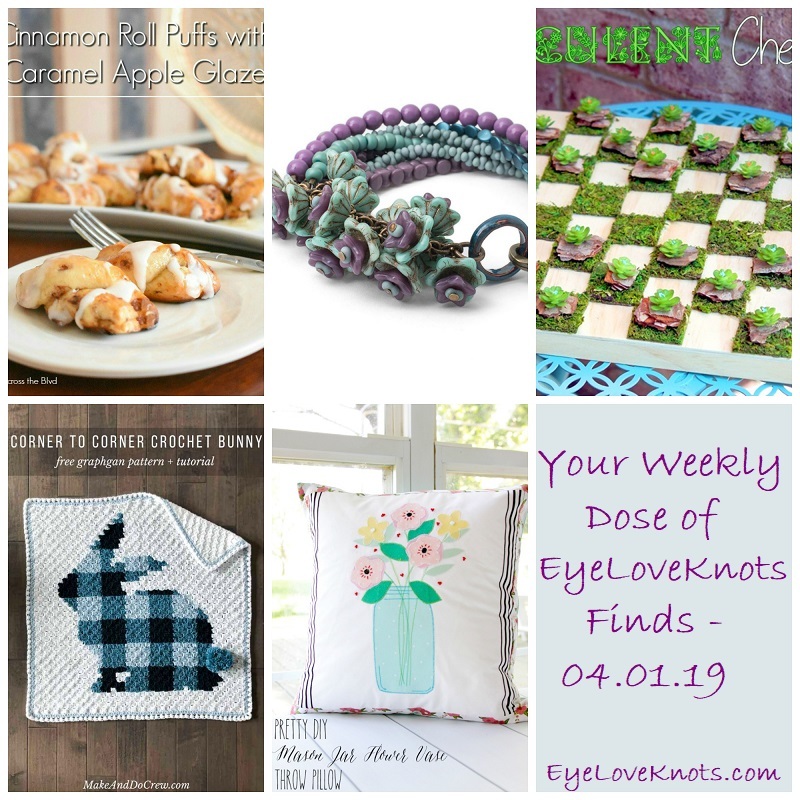 Spring inspired craft finds including an apple cinnamon roll recipe, spring flower bracelet DIY, moss and succulent DIY, free plaid bunny C2C crochet pattern and free floral embroidery pattern. One more week of Spring finds (for now). I am thinking the next couple weeks I will switch to some Easter, and then… not sure, what do you want to see? I really want to try this out! I love how this recipe takes a simple cinnamon roll, and morphes it into more. Only 3 ingredients too! 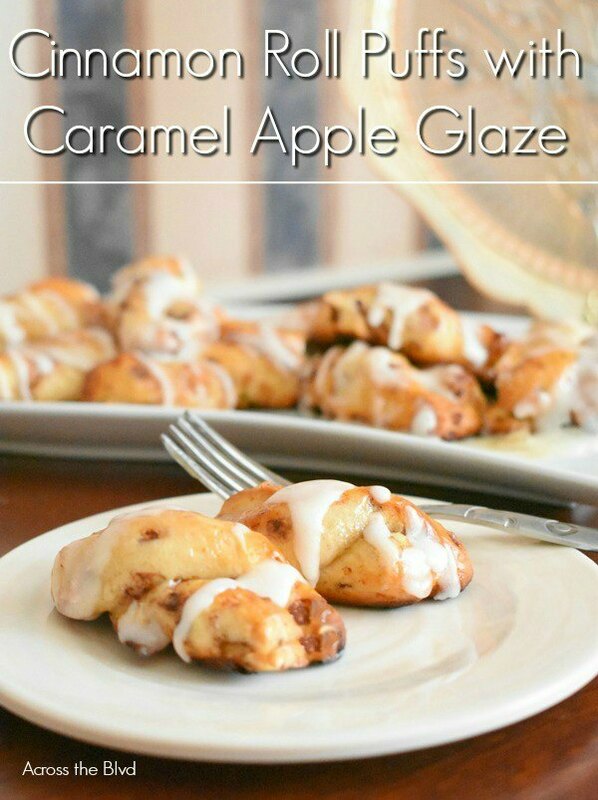 Todd isn’t a huge fan of cinnamon or apples, so I think I am going to have to wait for our next family dinner, but imagine these with a scoop of vanilla ice cream! Or a warm cup of coffee. Isn’t this bracelet stunning?! 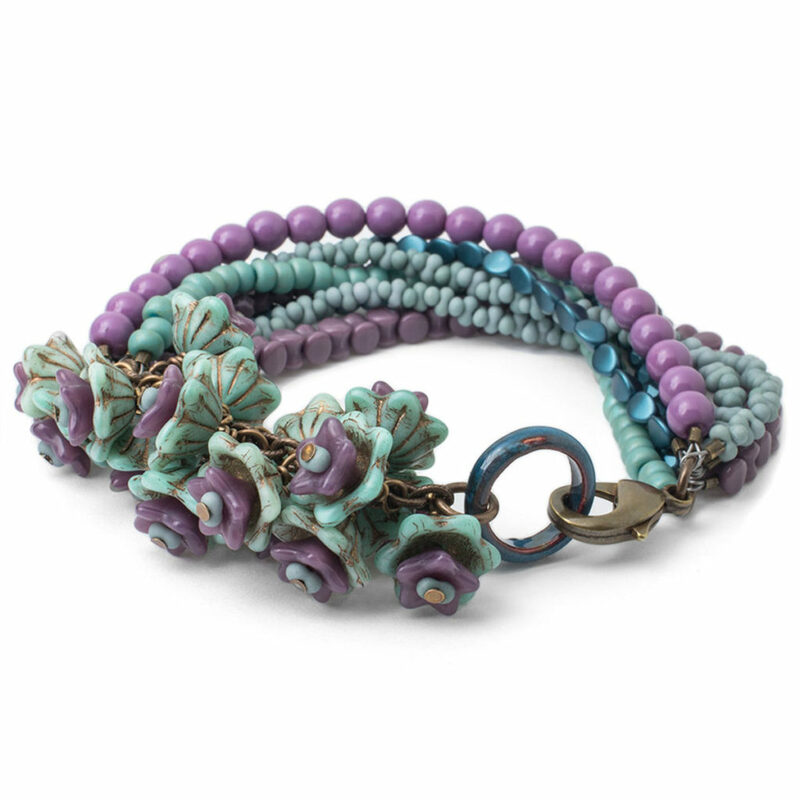 I am so in love with the colors, and the fact that half of the bracelet is more of a typical stranded bracelet, while the other half is a garden of flowers – WOW! I can see some matching earrings made with the dangle floral chains. I have been a fan of this since it was first published – how freakin’ cool!! I want to get one of these moss rolls – so many possibilities! 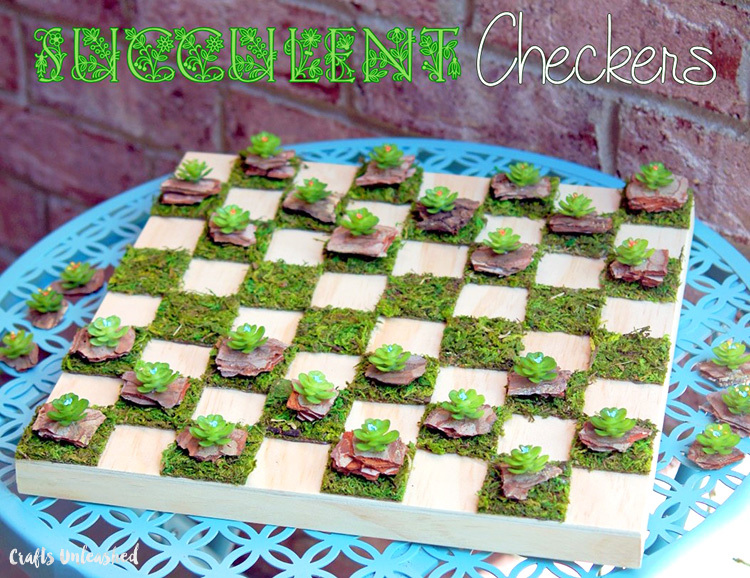 If you don’t play Checkers, you could make a smaller version of this for just decoration – even turn it into a wall hanging. Plaid + Corner to Corner = Yes! 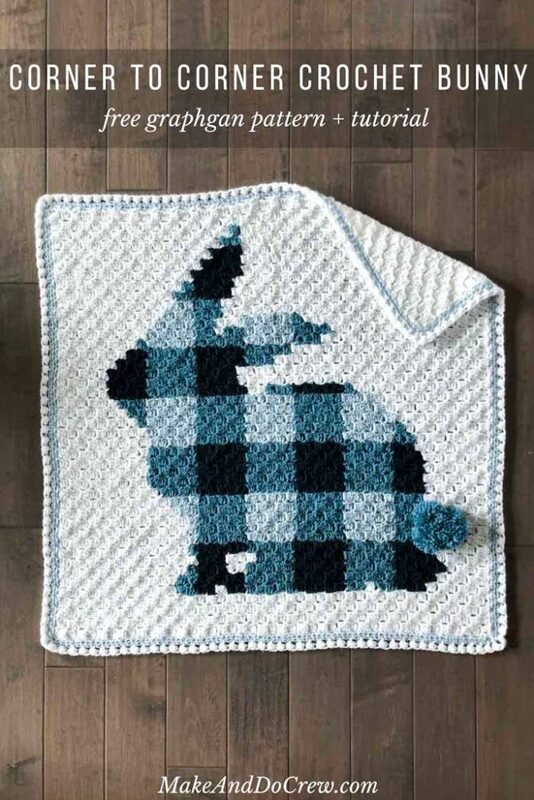 I love that the image has been designed in plaid – a design within a design. This is a lot of thought and planning – so creative! But, it would also look excellent in a solid color (plus less ends to weave in). The actual pom pom is a cute touch, but I am envisioning a bow in the bunnies ears too. How cute is this pillow?! 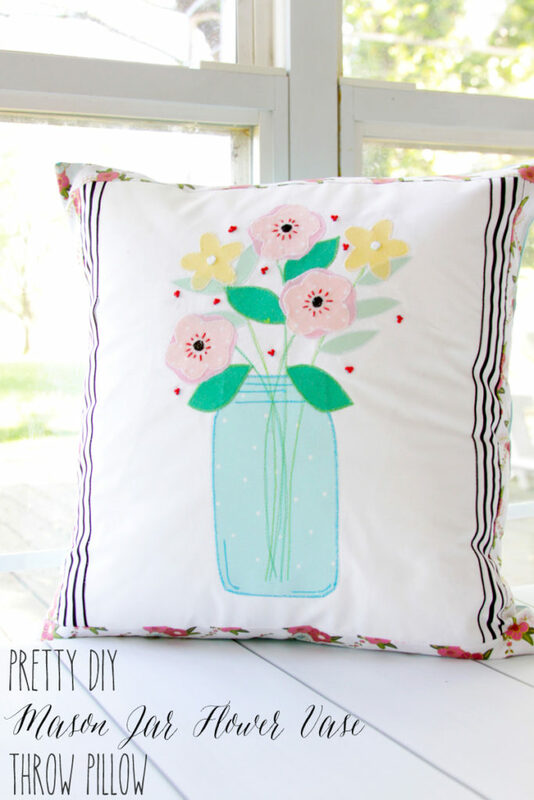 This pillow combines basic applique (which Beverly makes it seem so easy! ), and some basic hand stitching to embellish, then the rest of the pillow. I think the mason jar and flowers are so pretty though, it would be a wonderful wall hanging, or afghan square.